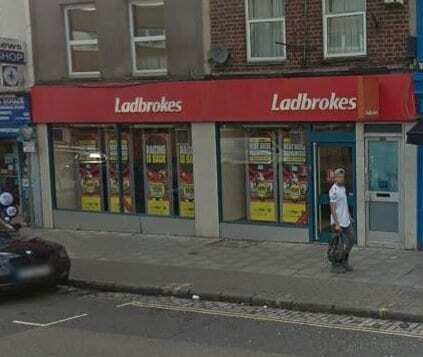 Here you can see information relating to Ladbrokes on Fishponds Road in Bristol. This includes the opening and closing times as well as the exact location and any special offers you may be able to find. 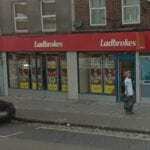 Below is the map listing for the Ladbrokes betting shop in Bristol on Fishponds Road. This makes it pretty easy to find if you are planning on making a visit to this particular branch. 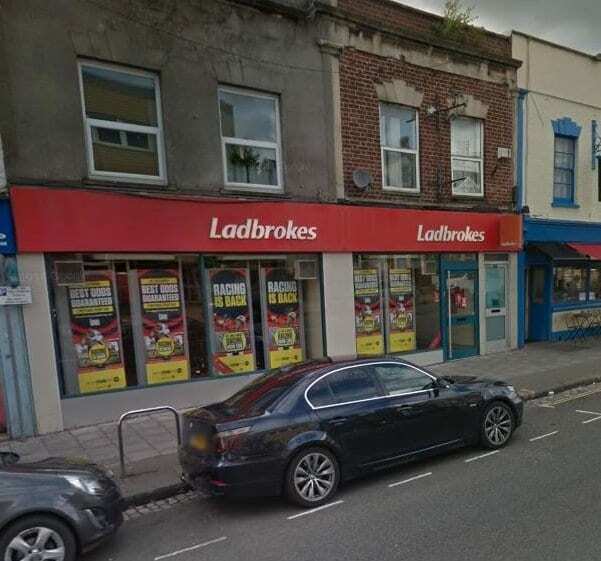 Below are some photos of the betting shop in Fishponds Bristol which is close to lots of other high street shops and facilities. 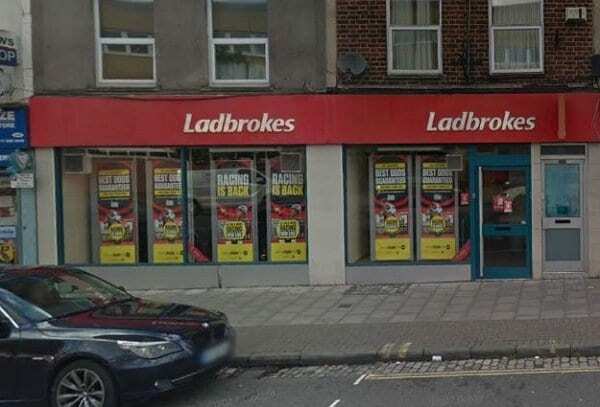 This is the perfect place to visit in Bristol if you want to place a football bet or put money on other sports and events. This particular branch is open 7 days a week so you can pay a visit whenever you feel like it. There may be some occasions where the shop operating hours are different due to big events like the Grand National, so be sure to look out for any changes. 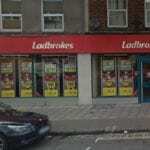 Check out all the UK Ladbrokes shops to find out more about the other locations. 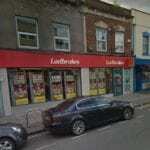 Ladbrokes is a licensed Betting Shop located at 637-639 Fishponds Road, Fishponds in BRISTOL BS16 3BA. – Information from Find a Bookie. The license status: Grant by Bristol City Council. Fishponds is a large outer suburb in the northeast of the English city of Bristol. It is approximately 3 miles (5 km) from Bristol city centre. It has two large Victorian-era parks: Eastville Park and Vassell’s Park (formerly the Vassell’s Family estate, also known locally as Oldbury Court). The River Frome runs through both parks, with the Frome Valley Walkway running along it. A restored mill can be found at Snuff Mills near the Vassells Park end of the river. It has retained its original waterwheel, which can still be seen and heard turning. Eastville Park has its own large boating lake, with central wildlife reserves. Fishponds is mainly residential through which two main bus routes pass. Housing is typically of the terraced Victorian variety. The high street has many shops, such as butchers, charity shops and takeaways as well as Lidl, Aldi and Morrisons supermarkets. There is a small student population due to the presence of the Glenside campus of the University of the West of England. There are a number of sports teams based here including the Fishponds Old Boys FC and many other small clubs for a variety of ages. The name of this area of Bristol derives from when it was, like nearby Soundwell, a quarry district. The empty quarries were then filled and there were many large fishponds in the area which have since been filled in. There was one pond remaining until the mid-1970s, when it was officially closed, a popular swimming area, named “The Lido” by locals. It is now owned by a private angling club. The area of Fishponds was once covered by the Royal Forest of Kingswood. The forest was progressively reduced and developed over the centuries, with Fishponds first recorded as the “Newe Pooles” in 1610, and subsequently “Fish Ponds” by 1734. By the 17th century it was thriving village with numerous stone built cottages for miners and quarrymen who quarried for coal and pennant stone. The village grew up around the two pools formed from the old quarries, but both were filled in by 1839. During the mid-to-late 19th century, Fishponds established a large manufacturing industry along Lodge Causeway and Filwood Road.